Happy Holidays! SoCalCross Fever is ON in 2019! SoCalCross Fever SCCF3: Season Finale – CXLA at the Greek – Griffith Park! Cyclo-Cross returns to the Greek Theater - Vermont Canyon Park for 9th season! 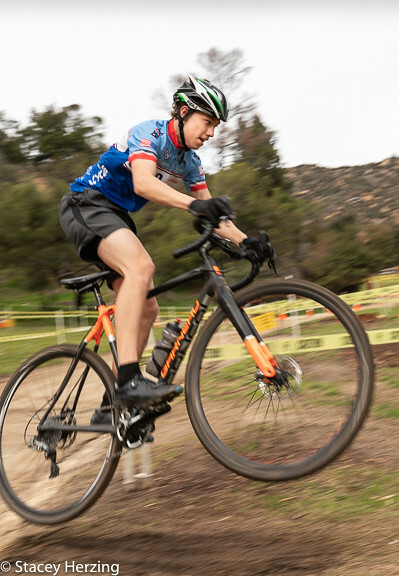 2019 SoCalCross SCCF 1/2: CX-OC-MTB Showdown at Silverado! Winter Cross Fever returns to Orange County's Irvine Lake - 1/5-6/2019! SoCalCross Photo of the Week! Post your photos from our races on the SoCalCross Flickr Group! Weekly winners will be chosen as our favorite photo of the week! Prizes from our sponsors each week and for the best pics of the season! Check out the video gallery to watch the latest SoCalCross vidoes posted to YouTube + Vimeo. SoCalCross Season Finale – Cross Fever #3: CXLA at the Greek – Vermont Canyon Griffith Park! CX returns to Griffith Park for the 9th season! Thank you City of LA for supporting bicycling all these years and working with us to get us back. The RULES for SoCalCross Fever 2019 will include Best of 3 Cross Fever Categories including Team plus Season Categories: Duathlon, Cross Run and Trackocross. SCCF race 3 will be worth double points. In the event of tie whoever raced the most races in the series wins a limited edition Art of Cross 2019 SoCalCross Fever trophy and prizes! Check out the video SoCal Cross CXLA 2014 from Prismatik Films on Vimeo. Stay up to date on the latest @SoCalCross Facebook, Twitter and Instagram!